What’s the most important thing we will ever have? Is it money? Well, it’s better to have it than not, but we know it’s not the essential thing we need in life. So, what about unconditional love? Yes, it is undoubtedly important, and we probably can’t live without it. There’s the love of our friends and family that strengthen and support us no matter what. Is it happiness? Well, no one wants to be unhappy. No individual will trade anything for happiness. Admittedly, we don’t have contentment that’s why most of us don’t entirely feel happy at all. However, we can’t judge every individual’s desires because everybody tends to be different. Lastly, is it our health? Surely our therapist would say that it is because, without overall health, we wouldn’t have the chance to experience a lot of transcending things in the world. But what is it that matters most in a person’s life? The most important thing in life is values. 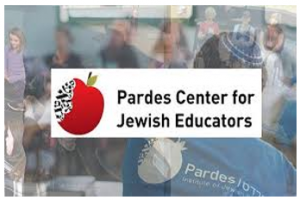 Not only can the Jewish community agree to that but a lot of people who understand the importance of having principles in life will surely give an undertaking for it. The truth is, most of us appear to disregard it because we somehow believe that ethical values are not that important and useful in a lot of circumstances. But perhaps we are wrong. 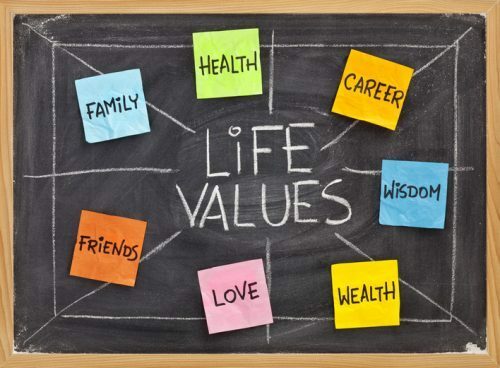 Values are more vital than love, money, relationships, and even happiness. 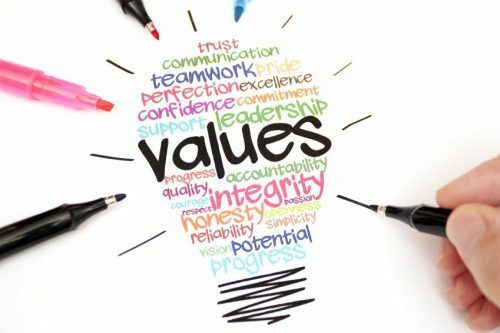 Above all, values or principles are what all individuals consider more important than emotions or feelings. It could be very hard for a lot of people to believe, but that’s how it is. Perhaps that’s because we live in a time when all of us think that how we feel about something gives more weight than anything else. Unfortunately, it is not. When it comes to decision-making, all of us use our right of judgment to create one. However, we usually depend on emotional attachment and pursuits most of the time. That’s the reason why there’s a conflicted result between deciding with feelings and sticking to life principles. Let’s try to set an example for this one. Assuming people feel like eating food without control. They know they will end up getting unhealthy along the way. The particular reason that stops them from consuming a lot of food they feel like eating is the value of staying healthy. In other words, there’s this battle between what they feel like doing and the moral value they hold. The different idea becomes even more vital when it comes to how it helps in treating other people. Since the world is evolving at an accelerated pace, almost everything that comes out wrong with it is from those individuals who don’t have values or not living on any life principles. Yes, all of us can share the same sentiments, but only a few can stick to what they believe is morally right. Some individuals murder other people because they feel like they are capable of doing it. They don’t live by the value of preserving human life. There are also those people who would instead steal things from others because they want what others have. They don’t value hard work and perseverance. There are those individuals who choose to have a relationship with someone already married because they happen to fall in love. They don’t realize the value of respecting a family. Honestly, the list is pretty much endless. Through our learning and experiences in life, we make choices based on how we see things rightfully. It should have to be that way. We have to understand that the best people we know such as those kindest, nicest, and most honest are the ones who constantly battle with their feelings only to make a better judgment. Yes, appreciating our feelings is essential. However, we have to be reminded that when someone disagrees with us, it doesn’t mean they are disrespecting our opinions. A value is something we can consider precious more than anything else in the world because it creates a person. It allows us to become who we want to believe we could become regardless of what we can do and how we choose to do things.